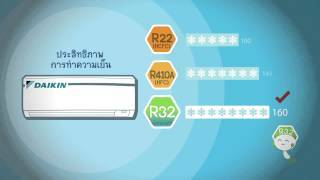 [TVC 30s] Daikin Inverter R32 Fast Cool. Extreme Cool. Save Energy. Daikin Inverter R32 air conditioners, provide extreme comfort, rapid cooling, and energy saving. Outstanding stylish design guaranteed by Reddot Design award for Ekira model. Quiet operation with minimum FCU operation sound 19 dB(A). Long durability. Let you be in every comfort which an air conditioner can provide. Call Center: Daikin Cool Line +662-715-3333 Mon - Fri 8.00 - 19.00 hrs. Sat - Sun 8.00 - 17.00 hrs. Daikin Ekira, experience new splendid design with more comfortable cooling from intelligent functions of Daikin Ekira, inverter air conditioner, uses high efficient R32, offers you instant cooling, extreme comfort and energy saving. Daikin, the world's leading of the coolness from Japan. Call Center: Daikin Cool Line Tel. 02-715-3333 every Monday - Friday 8.00 a.m. - 7.00 p.m., Saturday - Sunday 8.00 a.m. - 5.00 p.m. The TVC first introduces the new R32 refigerant in Thailand. It reflects the new generation of technology that is environment-friendly. Mr.Burin Boonvisut, a renowned artist and a young-blood executive as the official presenter, represents the image of a family man who cares for health and environments. “Pichon-kun’s world” first 3D animated video in Thailand. Pichon-kun, Daikin’s mascot that was created to exhibit in “Daikin Explorium”, will take you to see the intelligence of “Daikin Urusara 7”. The model that is the most energy-saving in Thailand according to Electricity Generating Authority of Thailand’s calculation. The animated video that gives technical information on the new generation R32 regrigerant. The aim is to make a statement in the advantages of R32 environment-friendly refrigerant and the reasons why Daikin is the first company to use it in Thailand. 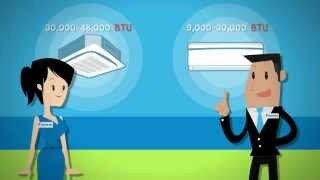 The animated info-graphic video explains the advantages and importance of Daikin’s inverter system in air conditioner. The contents are made easy to understand and audiences are able to learn Daikin’s inverter long-term worthiness. The superior cooling experience of “Daikin Urusara 7” comes with the new generation R32 refrigerant and the new inverter. This is the air conditioner that Mr. Burin Boonvisut chooses for his family members’ health and environments. “Daikin VRV”, the leading intelligent air conditioner, is the best solution for commercial buildings. The superior air conditioners in energy saving that potentially breakthrough the limit of air conditioner installation, regards to Daikin’s professionals who first created the system in the world. The beautiful design that won Red Dot Award from Germany will make you fall in love with Daikin Ekira in a second. The air conditioner comes with remote control technology that allows perfect control via smartphone application and WLAN system, along with R32 refrigerant, the environment- friendly refrigerant, that Daikin first uses in the world and in Thailand. 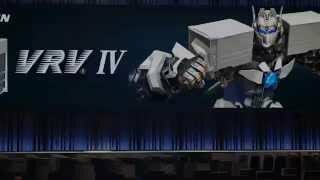 The animated short video thoroughly explains Daikin’s Sky Air products. The set of products is the answer to any various uses in commercial buildings. “Number 1 company in air conditioner global sales” combined with the strong Japanese image of Nadech Kugimiya, the nation-wide renowned actor as the latest official presenter, become the representative of handing cooling experience to Thailand under the new slogan of “Daikin, leading refrigeration from Japan”. The TVC stimulates a future museum that exhibits Daikin’s air conditioner technology. Mr. Burin Boonvisut, a renowned artist and a young-blood executive as the official presenter who represents the image of a family man who cares for health and environments, chooses air conditioner with the new R32 refrigerant as a role model of future air conditioner that brings cooling experience to his home. Besides R32’s ability of not destroying natural ozone layer, the R32 refrigerant also gives 3 times less global warming effects than the current R410A refrigerant. Furthermore, its cooling performance is 60% higher than the current R22 refrigerant, which be a model of air conditioner in the future and will be given the cooling to Mr.Burin’s house. Pichon-kun’s world is a 3D animated video created by Japanese creator team. The lively and cute characteristic of Pichon-kun, the official Daikin mascot, is creatively used to tell the advantages of “Daikin Urusara 7”, air conditioner that combines intelligent technology and environment-friendliness for comfort and health. Pichon-kun will take you to meet the new generation R32 refrigerant, the environment-friendly refrigerant that is first used in Thailand by Daikin. Its cooling performance is 60% higher than the current R22 refrigerant and does not destroy natural ozone layer. R32 also cause 3 times less global warming that the current R410A refrigerant. With the combination with Daikin’s inverter, the intelligent system that controls swing compressor, the model can save more energy up to 33% higher than other models. Urusara 7 can save you energy consumption and also operates quietly. For your extra comfort with the first time of air conditioning industry, Daikin introduces you the 3-level Dehumidification function that dehumidifies humidity in your room. You will feel the comfort of the suitable and even level of temperature and humidity. The comfortableness caused by unbalanced humidity will be vanished by Comfort Zone mode at 25°C and 55% humidity. Urusara7’s new Circulation Airflow system features air intakes on both the top and bottom. The double intakes maintain a large airflow volume by drawing in additional air from the bottom intake. The Circulation Airflow also directs increased airflow toward the ceiling. This helps air to circulate fully and cool a large room rapidly and vanish uneven room temperature. Intelligent Eye, the infrared sensor detects any human movements in the area and distributes airflow direct to persons or to nearby area to avoid direct wind distribution. When no movements are detected in 20 minutes, Intelligent Eye will automatically increase temperature 2°C warmer to save energy. If movements are detected, the temperature will be automatically set to the previous temperature settings. This function helps you save more energy consumption that other air conditioner models. Flash Streamer air purifier, the new air purifier technology that “cleans your room” by streaming high-speed electron plasma that detects bacteria, moulds, must mites, pollens and allergens. Auto Filter Cleaning, the function that automatically long brushes with 23dB dust off the prefilter and collects it in the installed box. Clean care only 1 time from normal use up to 10 years. The animated video on R32 refrigerant is a result of Siam Daikin Sales Co., Ltd.’s determination to give easy-to-understand and interesting information to audiences. In the past years, CFC chemical was widely used as refrigerant. However, Montreal Protocol accounted CFC as dangerous chemical that destroys the natural ozone layer and called for cancellation to the chemical use. Hence, HCFC of R22 became the best substitute. HCFC was later on accounted as one of the dangerous chemicals that destroy ozone layer as well and followed by the call for cancellation of R22 as refrigerant. Many countries started to replace HCFC (R22) with HFC (R410A). Even if HFC (R410A) did not destroy the ozone layer but it was still a part of causing global warming. However, Kyoto Protocol called for reduction in use of HFC (R410A) in 1997. Daikin made an important decision to be the first company in the world that takes the first step in using R32 in air conditioners. Besides R32’s ability of not destroying natural ozone layer, the R32 refrigerant also gives 3 times less global warming effects than the current R410A refrigerant. Furthermore, its cooling performance is 60% higher than R22 refrigerant. Refrigerant can be filled without draining leftover refrigerant. The popularity of R32 refrigerant goes worldwide, starting from Japan and spreads over to Europe and Australia including ASEAN countries and Thailand. 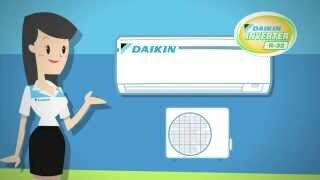 The animated video has an easy explanation on how inverter system works and the advantages of Daikin’s inverter. Unlike normal inverters that swithes between hot and cool working system, Daikin’s inverter keeps the tempearture even and operates quietly at 19dB. Furthermore, Daikin’s inverter also creates long-term value. To simply compare: Your monthly electricity bill is charged 1,000 Baht per 1 air conditioner but an Inverter air conditioner costs 600 Baht per month. Inverter air conditioner can save up to 4,800 Baht per year, which was equal to the difference between the price of an air conditioner and an inverter air conditioner. Daikin’s inverter system helps you save your money spent on purchasing air conditioners. It allows you to own smaller cooling load capacity with higher potential. For example, BTU 12,000 air conditioner is required to cool down 38°C but Daikin’s inverter allows you to have BTU 9,000 air conditioner that can work up to BTU 11,600 cooling potential. For your confidence in Daikin products, all Daikin’s inverter models have coated protection on PCB board. The coating keeps insects and small animals away from destroying PCB boards and other unit parts. Daikin’s PCB board is also 3-year guaranteed. Surge protection system is installed into each unit to protect your air conditioner. As all the advantages mentioned above, Daikin’s Inverter is the energy-saving and most valued solution for your family. 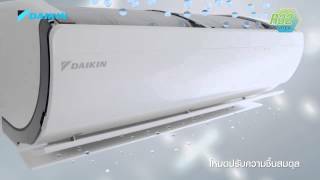 Daikin introduces you to the superior intelligent cooling technology of “Daikin Urusara 7”. The technology is led by the leading dehumidification function and other special features along with the new regeration R32 refrigerant and the new inverter. This is the air conditioner that Mr. Burin Boonvisut chooses for his family members’ health and environments. The new environment-friendly R32 refrigerant does not destroy natural ozone layer. R32 refrigerant also causes 3 times less global warming than the current R410A refrigerant and its cooling performance is 60% higher than R22 refrigerant. This is why Daikin’s air conditioners give fast and effective cooling performance but still save energy. At the operation of dehumification mode, “Comfort Zone” mode is created at the suitable temperature of 25°C and 55% humidity. The mode is perfect for over-humid atmosphere such as in rainy days. The “Flash Streamer” air purifier and new “Circulation Airflow” are also available. “Daikin Urusara 7” is truly the top intelligent technology of comfort for family. Daikin is determined to innovate VRV products to breakthough installation obstacles since 1982 until present. The latest Daikin VRV IV has efficiency up to 4.41 COP to supply the higher demand of usage. The Heat Exchanger now has 3 rows instead of 2, the extra row increases potential in cooling system. The newly developed scroll compressor is made of high enduring materials that decrease problem in long-term care. The 90-metre long pipe that saves 43% of installation area allows you to have beautiful scenery of buildings. The fan coil system is connected to temperature sensor that detects human temperature in specific area to calculate the suitable temperature. Intelligent Touch Manager gives you an innovative way of control. The modern easy-to-use touch screen helps you manage suitable temperature for various uses in various types of rooms. The concept of future technology in air conditioning system is conveyed by a robot that represents the unique identity of Daikin. 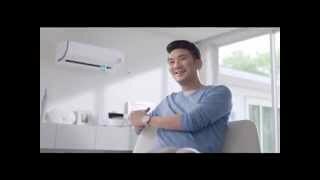 Daikin as the world’s most professional innovator in air conditioning system, all Daikin VRV types are the finest solution in the world to break through obstacles in air conditioner installation. “Daikin Ekira” elevates the new standard of design to meet the new style of modern house decor. The video is made as a metaphor of falling in love with Daikin Ekira. 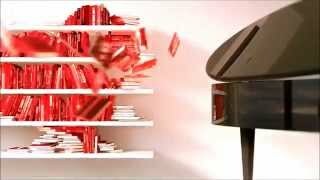 As soon as Ekira is turned on, all furnitures and house decoration pieces such as piano, chairs and books are turned heart-shaped. The visual is a metaphor of falling in love with the beautiful design that suits well with interior design in modern houses. “Daikin Ekira” is environment-friendly thanks to the R32 refrigerant. Besides R32’s ability of not destroying natural ozone layer, R32 refrigerant also gives 3 times less global warming effects than the current R410A refrigerant. Furthermore, its cooling performance is 60% higher than R22 refrigerant. This is why Daikin’s air conditioners give fast and effective cooling performance but still save energy. Daikin’s swing inverter also improves work potential and save even more energy. detected in 20 minutes, Intelligent Eye will automatically increase temperature 2°C warmer to save energy. Wind direction is automatically adjusted to avoid direct distribution to persons; this is why Ekira can give more comfortable temperature. For your better sleep, Ekira works with only 19dB machine operation sound, which is even gentler than the sound of whispering. You can be assured that the air is clean and pure with the performance of Titanium Apatite Photocatalytic air-purifying filter that decomposes undesired odor, germs, bacteria and virus. Cassette Type SkyAir, ceiling mounted air conditioner. Air flow is distributed throughout the room to make cool air even in every area. The simple yet luxurious design is suitable for offices. Ceiling Type SkyAir, ceiling suspended air conditioner. Air flow can be distributed up to 10-metre far, suitable for small shops or minimarts. Duct Type SkyAir, air conditioner with pipes hidden in ceilings. Product is suitable for buildings that require beauty such as hotels or condominiums. As combined with the energy saving Daikin Inverter and R410A refrigerant, the potential of Sky Air is increased and is truly suitable for commercial buildings. The video starts off with a Japanese easy-listening style music. “Ohayou Gozaimasu, Daikin invites you to take a relaxing break...”, the catchy line conveys Daikin’s main idea of “Leading refrigeration from Japan”. 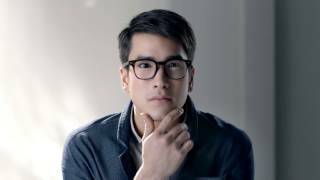 Daikin brings cooling experience from Japan to Thailand through Nadech Kugimiya, the nation-wide renowned actor as the latest official presenter. Nadech Kugimiya’s Japanese image is well-known by his Japanese last name and his Japanese character roles on television. 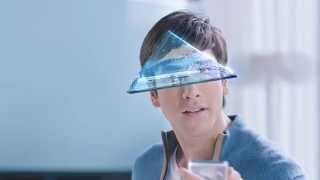 Furthermore, the triangular-shaped crystal sign inspired by Daikin’s original logo was created for this video use to promote DAIKIN’s modern image.